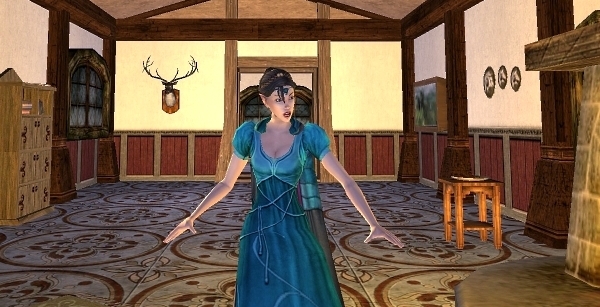 The event features a detailed roleplaying story and is open to characters of all levels. The game is designed to be played by any number people. The event begins with a costume contest. Put on your best Halloween costume. You will be called up on stage and have 30 seconds to show off for the crowd. The audience votes for the winners. The top three winners will go home with gold and Turbine Points! The mystery game begins at the conclusion of the costume contest. During the mystery game, our actors will take scripted roles in an exciting story. You will roleplay a Bounder, Ranger, sheriff, or someone else appointed to investigate. Clues are gained by interviewing the witnesses, roleplaying in-character. You will have 30 minutes to interview the witnesses, located in adjacent houses. After completing your investigation, tell the host who the culprit is and other details of the crime. The first three people who solves the mystery with the most correct deductions win prizes! Participants should show up dressed appropriately for a Halloween masquerade party or as investigators. Please leave weapons larger than daggers at home. Pets should be kept outdoors. After the mystery is solved, participants are invited to stay for a charity auction and concert. The highest bidder in each auction must donate the promised amount directly to the charity to receive the items. Click here or visit http://www.extra-life.org/participant/windyacres to donate money. Music will be provided by “The Remediators” and “Old Winyards”. More information will be posted as the event approaches. All rules and necessary information will be provided at the event. Contact Kiralynn on Landroval if you have questions about the event. 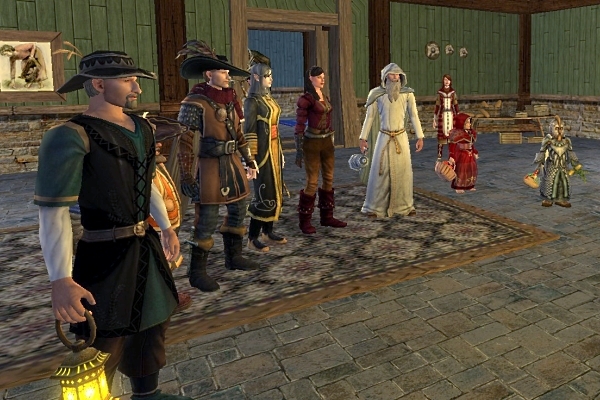 CLICK HERE for the event post in the LOTRO forums. This entry was posted in Contests, Riding Club News. Bookmark the permalink.